Have you been organizing any rooms in your home lately? The laundry room may not be one of your favorite rooms in the house, but it needs some lov'n too! I have not been paying attention to my laundry storage room not until recently. When it comes to space, I'm content with the size of my laundry room. It's not too small nor too big. And not the messiest...lol! 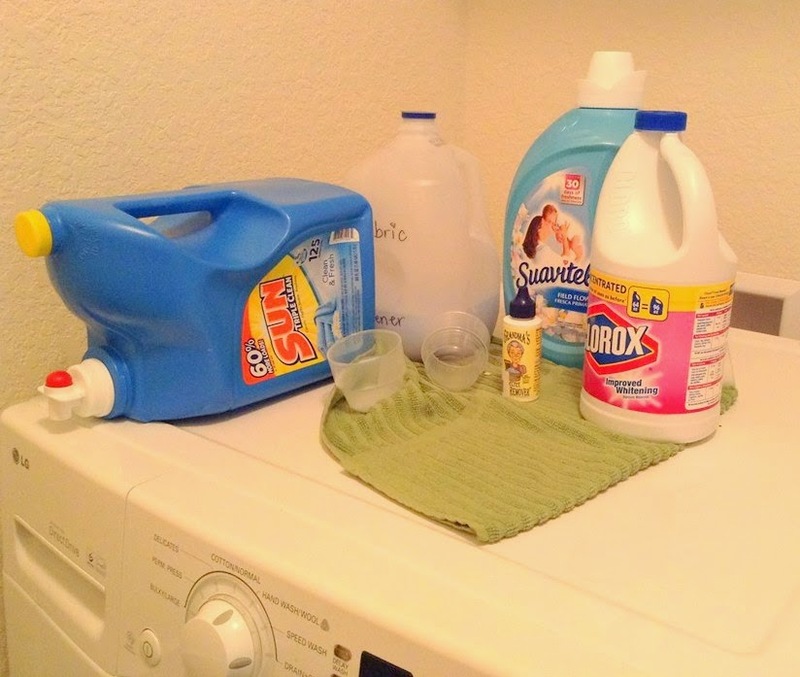 All along I thought I'm satisfied with having bulky laundry containers laying on top of the washing machine. Geez, I was wrong! 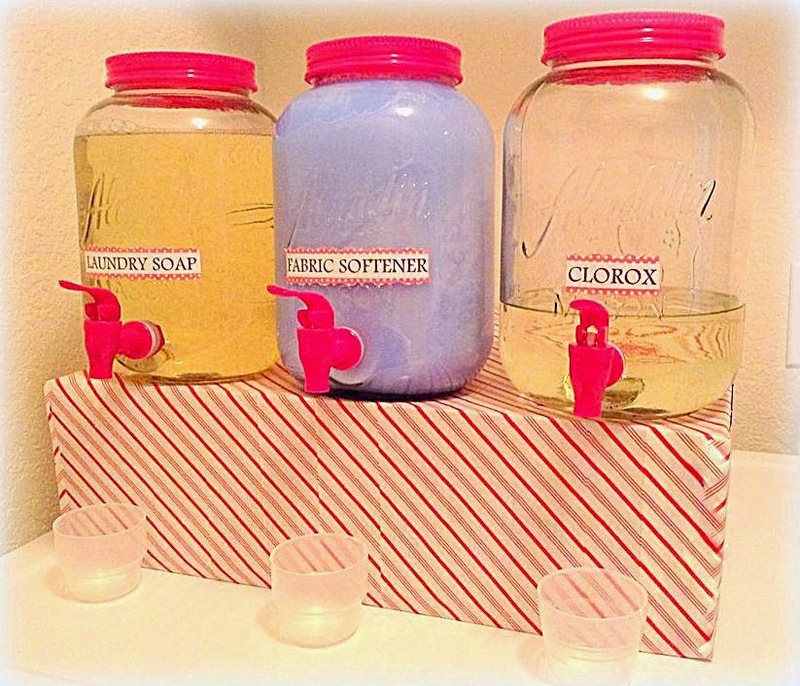 I didn't realize you can transform a lemonade jar into laundry containers. Such a brilliant idea! 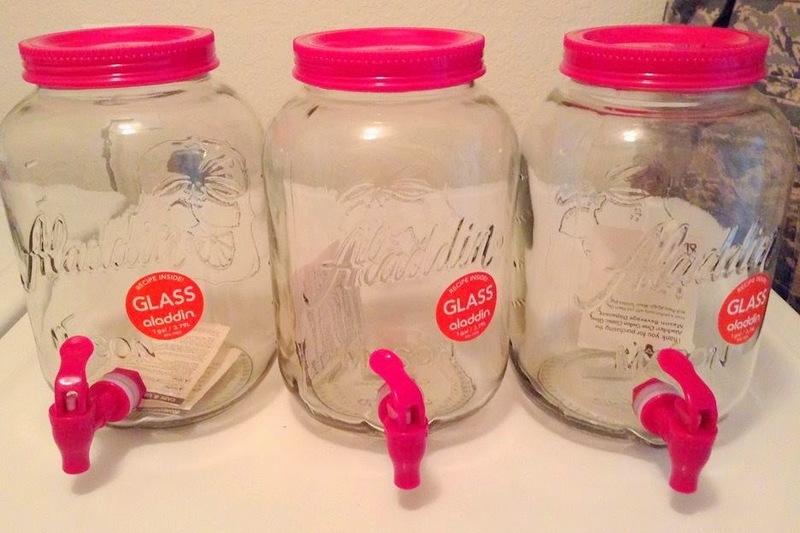 So I bought myself 3 - 1 gallon lemonade glass jars with spouts at walmart for $8.00 each. 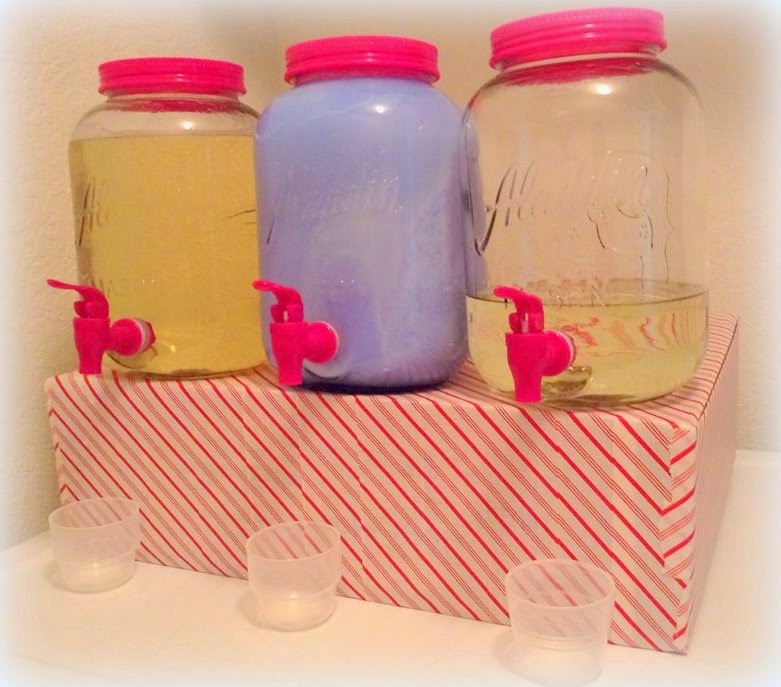 I transferred each detergent and now they are stored visually attractive in clear glass carafes. I thought of adding labels would look even more attractive. For the labels, I just printed them out and cut some leftover colored papers that served as a backdrop. Now my laundry room looks much more pleasant without those bulky detergent containers. By the way, the stand is another DIY project I made out of a package box. Details HERE! Great idea- thank you for this post! I've pinned it!